Our Brass Jumbo Slide Under Drink Cup Holders are tapered to hold your drinks secure without spilling. These "Vegas Style" cup holders simply slide under a table's padded armrest. 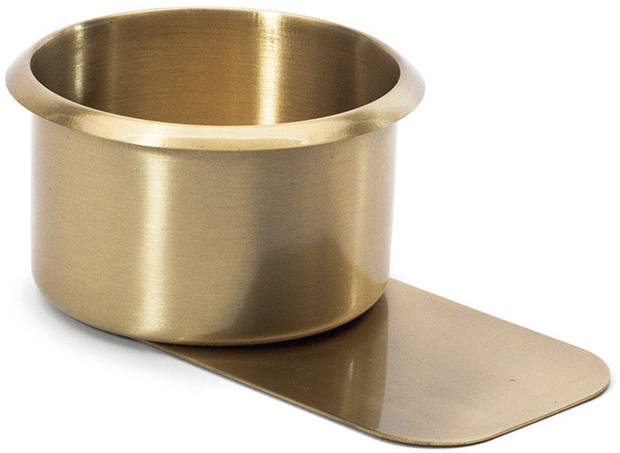 Because this cup holder is constructed from Anodized Brass to retain its luster and is both durable and rustproof. 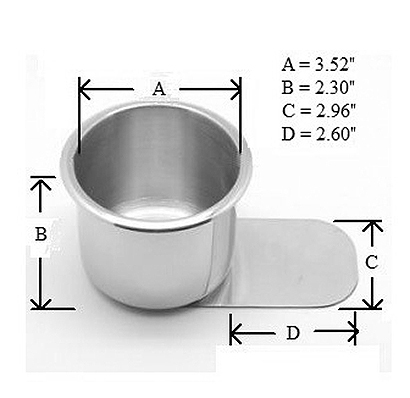 Our jumbo size cup holder fits any drink 3.5 inches in diameter or less.